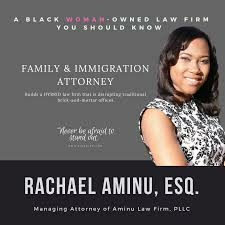 Rachael Aminu - Texas - Book a consultation instantly! Rachael knows what it means to work hard and get results. She takes a proactive approach to resolving issues, which gives her the ability to maintain a thriving transactional and litigation practice that seeks to represent individuals in personal and business matters. 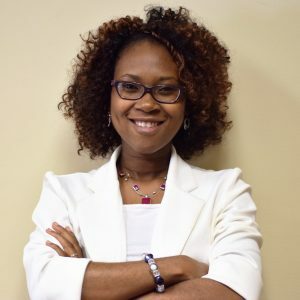 Ms. Aminu is experienced in resolving family disputes and immigration issues, and she continues to work with entertainers and entrepreneurs in building profitable businesses. 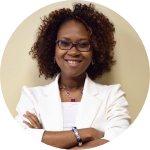 She provides legal strategy tailored to each client’s circumstances. 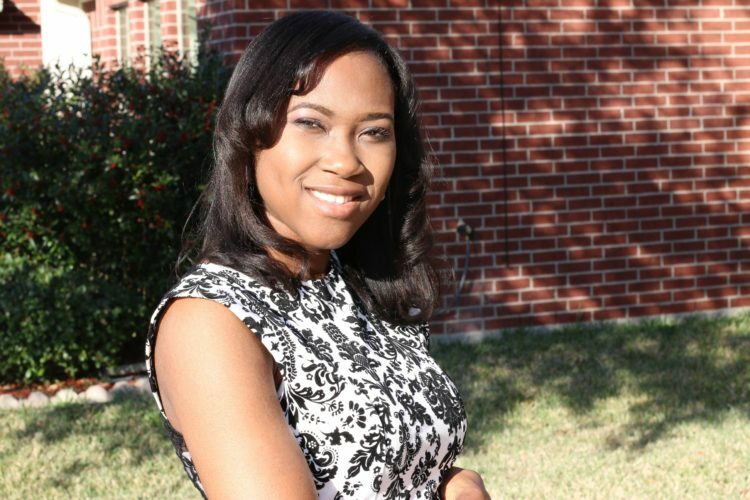 As an immigrant, born in Nigeria and raised in Dallas, Texas, she can relate with immigrant who seek to obtain their permanent residency and citizenship. Also, as a mother of four, she zealously advocates for peaceful departure and separation in cases of divorce, especially where children are involved. Divorce is never easy, but with the influence of her Christian faith, Ms. Aminu assists clients in finalizing their divorce and getting custody order, support, and marital properties that they deserve. Ms Aminu is a trained mediator; she provides an alternative way for clients to resolve their legal disputes. Whether you are beginning an entrepreneurial journey, filing for copyright on your original materials, filing for child custody and support, or looking for an attorney to review your application for a Green card, you need an attorney who is honest, reliable, and dedicated. Aminu Law firm is built on these principles – zealous advocacy, problem-solving, and dedication. Truly, we are the #HoustonLawyersWhoCare. In addition to practicing law, Rachael is a singer-songwriter who blogs regularly about entertainment law issues and teaches about entrepreneurship on her online learning site, Music Lifestyles. When she is not working as an attorney, she is spending time with her husband and four girls. The Executive Office for Immigration Review (EOIR), a part of the Department of Justice (DOJ), has instituted strict quotas as part of immigration judges’ individual performance evaluations. This is a shift that strips away the independence held by judges who are making high stakes decisions about whether a person will be deported.